Independent News and Media are in the process of bringing you some of the great moments from our nation's sporting history. These pictures will cover all sports where Independent Newspapers photographers were in attendance. These images capture the raw energy of players in these heated matches, as well as the jovial rivalry between fans. The galleries feature the GAA's most recognizable players, managers and personalities throughout the decades. We are featuring the All Ireland Senior Football and Hurling Finals throughout the 1950s, 1960s, 1970s, 1980s and 1990s. 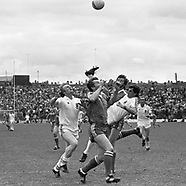 The 1970s in particular saw some great matches between old rivals Dublin and Kerry. 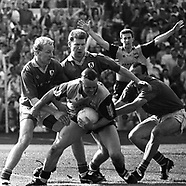 Between them they dominated the decade with Kerry taking four All-Ireland titles with Dublin taking three. Offaly took two and Cork one. 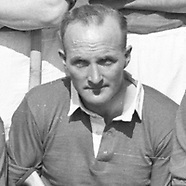 Hurling was dominated by Cork and Kilkenny both winning four titles each. Limerick and Tipperary took one each. Kilkenny had reached twenty one All-Ireland titles by the end of the decade.